Wise Millennial is an engaging and articulate self-help book that is certain to appeal to its target audience. Peter Noble Darrow’s personal experiences become learning opportunities for others in Wise Millennial, an atypical and appealing self-help book. Darrow’s life has been characterized by privilege, and he is the first to admit it. Through private schools, Upper East Side culture, and elite family mingling, he benefited from many advantages early on. But the millennial also experienced hardships that left him reeling, facing new doubts regarding his place in the universe. Hoping that his efforts to handle those hardships will help others of his generation face their own challenges, Darrow recounts the events that made him who he is today. A thoughtful organization makes it clear what should be gained from each portion of the book. Sections like “Healthy Millennial” and “Instructive Millennial” cover topics as ranging as mortality and how to get through one’s college years with stories that both demonstrate what to do and what not to do, showing what happened in Darrow’s own experience in each case. Darrow’s stories—of death in the family, a struggling business, and of working to live to the fullest––balance dialogue, narrative, and commentary well. They are specific enough to capture his experiences and are followed by reflections on the wisdom gained from them. Not all stories result in obvious lessons, and some read more like bragging than advice, as with a recalled trip to Africa that focuses on a connection made with local people. Darrow maintains a kind tone throughout. He is firm when necessary, as in a chapter about drinking, which asserts that—though it may be difficult to stand up to peer pressure—sometimes the best thing to do is stay sober. There’s an authority to such claims; Darrow’s advice is backed by his own experiences and others’ affirmations, too. For example, Darrow indicates that he earned a sorority award for being a man worthy of respect and speaks directly to other millennial men, urging them to treat women with respect, too. Such advice is applicable to all, including to those whose life experiences have not been as elite as Darrow’s. Even if some are off-put by his obvious advantages, the earnest nature of his counsel makes it valuable. The text is embellished by pictures of Darrow and friends that emphasize its personal nature. Bright colors enliven its early pages, and emojis make the design attractive and fun. In appearance, too, the book will appeal to its audience’s age range. 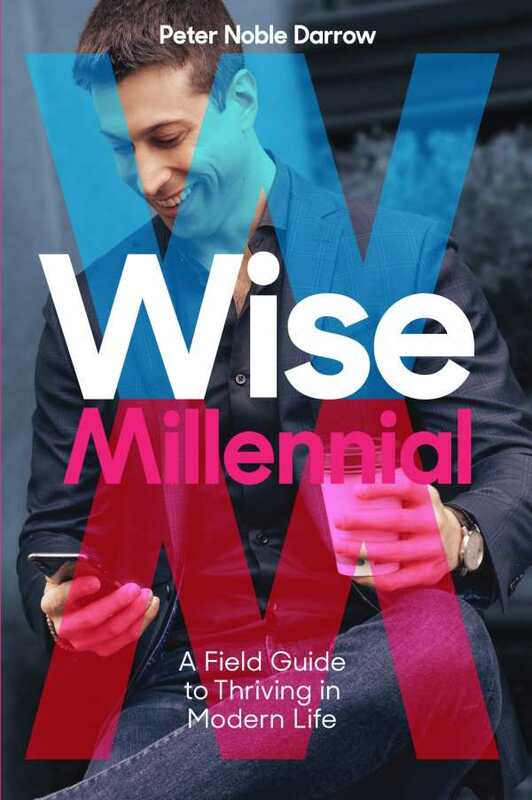 An engaging and articulate self-help book, Wise Millennial combines personal storytelling and guidance and will resonate with its target generation.